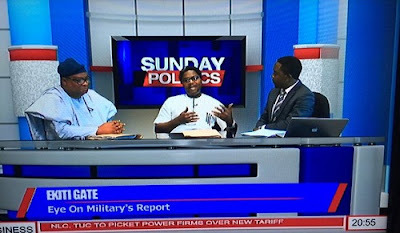 The former secretary of the Peoples Democratic Party, Ekiti Chapter Tope Aluko was on Channels Tv yesterday where he accused Governor Ayo Fayose of getting into office by rigging the election and also said former president Goodluck Jonathan spent a fortune to get him there. According to him, $35m was spent on the election and it was brought in by Obanikoro through the NSA's office. “For Aluko to be taken seriously, he must first have to report himself to the police to be tried for perjury and committed to prison for three years, since what he is now saying is different from what he said under oath at the Election Tribunal being the only witness called by the PDP and Governor Fayose. “If after giving evidence under oath at the tribunal that the Election was free, fair and credible and that security agents, including soldiers performed their duties creditably well, saying something else more than one year after is an admittance by Aluko himself that he is not a stable character. “It is also a demonstration of the fact that giving the right offer tomorrow, the same Aluko can also address the press tomorrow to deny all what he said today. He can even deny his own existence since he can deny what he said under oath just because he was not made Chief of Staff. “Therefore, we won’t bother ourselves, responding to what a political parasite chooses to say because he wouldn’t have said what he is now saying today if he had been made Chief of Staff to Governor Fayose and it is sure that if he called today, and given the right offer, he will begin to sing another song,” he added.